Might Bite is one of 18 declarations for the Timico Cheltenham Gold on Friday. 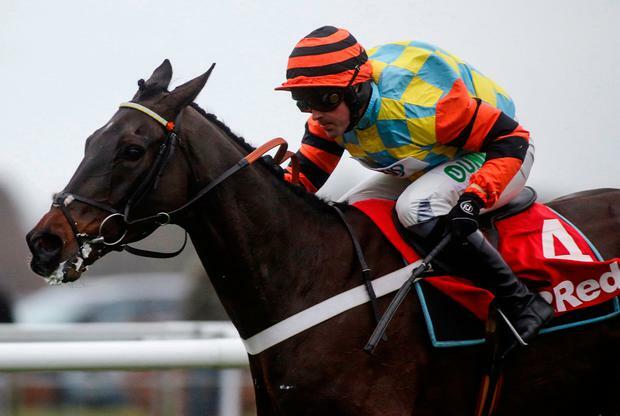 Nicky Henderson's gifted nine-year-old has been the long-time favourite for the main event of the four-day Cheltenham Festival. Might Bite was a wayward winner of the RSA Chase at the Festival last year but he has looked a much more composed animal this season. Richard Hobson has also declared Shantou Flyer but he finished second to the Kelly-ridden Coo Star Sivola in the Ultima Handicap Chase at Cheltenham on Tuesday.